So I’ve had to take a short break for various reasons but I was finally well enough with time to spare to sit down and watch the reveal announcement for Google Stadia. Now, I AM a believer in Streaming as a potential future – even if I do also believe there is a toss-up right now between that being a glittering utopia or a gloomy dystopia. Streaming is not new; OnLive was doing this at the turn of the decade and it did it pretty well for the most part, even if the business model behind it ultimately killed the company. And you can go further back too, if you want to class Nintendo’s own experiments with the Satellaview in Japan as an example of streaming content – which would mean this technology has been around for a good two decades at least (as I’ve said before – the future is so often rooted in the past). What do I make of Google Stadia so far? A lot of promises, bags of potential… and a likely laundry-list of problems lie ahead for this platform. Google is one of the few companies who do have the infrastructure to actually take streaming like this seriously (Sony and Microsoft have got their foot in the door and Amazon is making at least a little noise about it too) because this will require a LOT of server farms, and a business model that doesn’t entirely depend on the actual video games in order to keep the service alive – which might eventually knock Sony out but we’ll see. They see money in it – but that profit potential could be years down the road, and the company may still even today need to sustain heavy losses in order to gain any traction whatsoever. Not everything is the Nintendo Switch; and as the Switch proved, even if you’ve got sales and promise and potential, getting people on board today can take years, even if supporting the damn thing should be an obvious no-brainer. The potential – which Google pretty much entirely based their event on – is vast here. Google isn’t interested in making a machine, it’s looking to make a platform that will work on pretty much everything, though whether everyone is willing to play ball is yet to be seen. A universal platform that includes everything and everyone is ambitious, inclusive and sounds like the sort of thing that would benefit the industry. Not only that, Jade Raymond is leading Stadia Game Studios, Google’s first-party development house. Yet there are so many problems. As I said – a platform for everyone SOUNDS awesome… but that’s a big ask in an increasingly fractured and divided industry, especially one that struggles with themes and content and censorship. Having a place for EVERYONE means… well… having a place for people with ideas contrary to your own, and I don’t think Google likes that sort of thing if YouTube is anything to go by so… yeah. Put the heavy bunny ears around “Everyone“. That’s just the surface-level too, the tippy-tip-top of an incredibly large iceberg headed straight for the S.S. Stadia. Google made a massive deal about having straight lines to their data servers – yeah, that’s… not how things work Google and you know it. You may like to THINK that’s how we all connect to the Internet, and in some big towns and cities in the world it may even be true – but that’s probably less than 10% of the global Internet. Fun fact; I went to look at a place in a small village near Newquay called Crantock. 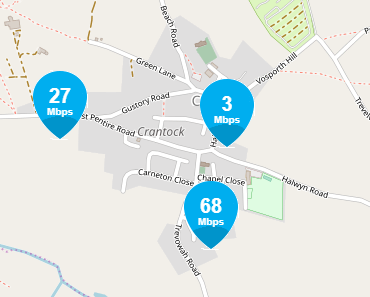 It’s a beautiful part of the UK and I’m not going to disrespect anyone or anything… except the fact that depending on which side of Halwyn Road you are will dictate your Internet speed – 68Mbps on the southern side and a whopping, eye-watering… 3Mbps on the north side. And that disparity – a road-width apart – is… kind of the problem with the UK, one of the first regions that Stadia wants to release in. This is… actually pretty terrifying. Then there’s input lag – I’ve seen figures of 110ms just for controller input and that’s… way too much, when you consider even on my crappy broadband I used to get 20-30ms in World of Warcraft and Final Fantasy XIV. And this was in the same room; we could see the delay in the presentation, it was noticeable and that’s not going to instil confidence just yet. Yes, Google can work on that – and is probably working on that – but reducing that latency down by 60-80% in less than a year seems awfully ambitious. You’ve also got to make sure it’s something people want. Many point out that Netflix didn’t invent streaming but is very successful – that’s true, to a certain extent, but Netflix is also a billion dollars or more in debt. Which is why Amazon Prime is starting to pull ahead – because Amazon’s diverse business can offset those costs somewhat. As for the games – I adore Jade Raymond, but her time at EA was not fruitful. Google needs to launch with something on the same game-changing level as The Legend of Zelda: Breath of the Wild like the Switch did. I did not get the impression that Google has any real games ready yet – as the Wii U will attest, people do not wait around for you to get your stuff together. You can have all the amazing content you want, but people won’t wait – they’ll simply go elsewhere. There are a litany of other issues – how will people buy games, where’s the cost, what happens if and when the servers go down and people can’t access their games. PS Now! was promising in Beta, but when it went live – in the real world – the whole service buckled and seized up. Can Google ensure that it can keep its own hardware up, running and consistent for all users connected at the same time? I make no apologies for bringing this up again. I do, however, think Google Stadia offers us a fascinating insight into where some companies believe we are all headed, and the journey there is going to be long, and messy, and there will be mistakes made and technical obsticles to overcome. That’s just a fact of life, and it pays to be realistic in this instance. As promising as this looks – it’s still, for most people, a long way off from being their day-to-day reality. Google’s GDC show was heavy on bravado and light on most of the important details – fair enough since GDC is for developers, not us consumer plebs. But it has to spend the next few months convincing the world that this wild new frontier can be tamed, that it is the one to tame it and that it is going to commit to it for the long haul (something Google does have issues with, if we’re being honest). The future of gaming is a lofty promise – and we’ve heard that one many times over the years. Them’s fighting words – but right now, they’re still just words. Either way, I don’t think Sony, Microsoft or Nintendo will be losing a lot of sleep tonight. 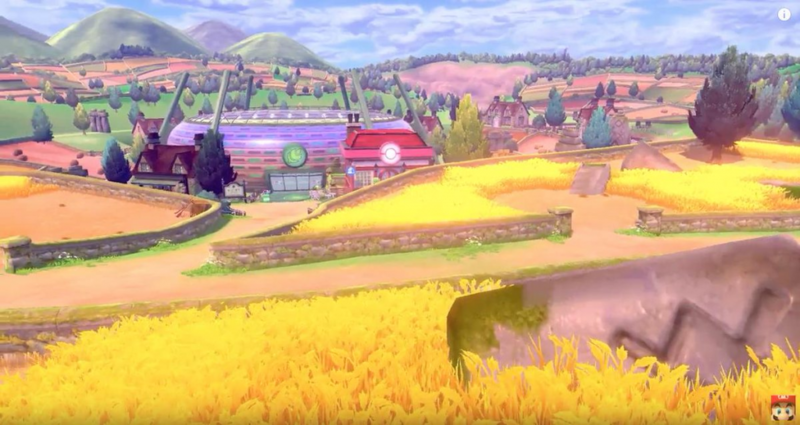 « Pokémon Sword & Shield: Thoughts.